Samsung’s major problem is not the OS. Android Jelly Bean (4.1 and 4.2) is better than (or at least as good as ) iOS 6. This can be easily verified when you putting your hands on Nexus 4 or Nexus 10. Most Android phone makers try to differentiate each other by overlaying its owning UI. Such UIs are supposed to improved user experiences; but unfortunately, most of them degrade. Samsung’s TouchWiz does provide some interesting functions, especially the latest Nature UX. But overall, it is over-weighted, lack of consistency. 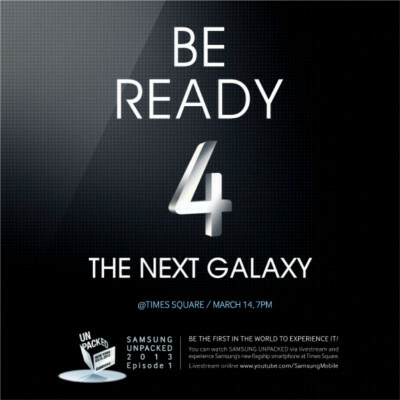 What surprises will Samsung Galaxy S4 bring to us? We will know these on March 14. What’s you view on Galaxy S4? Post in the comments section below, or start a thread in the discussion forum! Galaxy S4’s rumored specification was discussed in Galaxy S4 Specifications(rumored), and teh display was discussed in Will Galaxy S4 use Super AMOLED or SoLux Display? Why it matters?